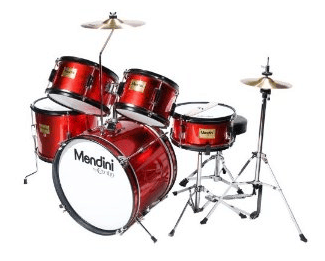 The Mendini MJDS-5-BR Complete 16-Inch 5-Piece Bright Red Junior Drum Set with Cymbals, Drumsticks and Adjustable Throne is on sale for $135.9 at Amazon right now. That's 55% off the list price of $299.99! The VTech – 3-in-1 Musical Band is on sale for $15.99 at Amazon right now. That's 36% off the list price of $24.99! The Melissa & Doug Learn-To-Play Piano is on sale for $48.95 at Amazon right now. That's 30% off the list price of $69.99! The Hohner Kids HMX3008B Glockenspiel is on sale for $17.49 at Amazon right now. That's 30% off the list price of $25.00! The Meinl Plastic Egg Shaker (4 pc Assortment) is on sale for $7.99 at Amazon right now. That's 39% off the list price of $13.00! The Lauren LA30N 30-Inch Student Guitar (in Natural) is on sale for $44.95 at Amazon right now. That's 50% off the list price of $89.99! The Hohner 6 Piece Rhythm Instrument Set is on sale for $27.49 at Amazon right now. 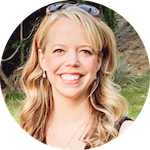 That's 39% off the list price of $45.00! The Bontempi – Clarinet is on sale for $11.78 at Amazon right now. That's 31% off the list price of $16.99! The Trophy 3470 Musical Spoons is on sale for $5.29 at Amazon right now. That's 47% off the list price of $9.95! The Set of 3 Music 1. Clarinet 2. Saxophone 3. Trumpet, Combo is on sale for $29.99 at Amazon right now. That's 38% off the list price of $47.99! The Hohner Kids / 16″ Rainmaker is on sale for $11.49 at Amazon right now. That's 36% off the list price of $17.95! The Hohner Kids S3800 Musical Toys Percussion Effect is on sale for $8.99 at Amazon right now. That's 47% off the list price of $16.99! The Hohner Kids Wood Block with Mallet Hardwood is on sale for $3.49 at Amazon right now. That's 50% off the list price of $7.00! The Wowwee Paper Jamz Justin Bieber Keyboard Guitar is on sale for $11.44 at Amazon right now. That's 62% off the list price of $29.99! The Portable Roll Up Piano Keyboard – JB4509JB4509 is on sale for $28.95 at Amazon right now. That's 52% off the list price of $59.99! The Remo Kids Percussion Lollipop Drum is on sale for $15.99 at Amazon right now. That's 38% off the list price of $25.75! The HSC SLW988 Super Gigantic Keyboard Playmat with Built-In Amplifier for Portable CD/MP3 Plug In is on sale for $94.95 at Amazon right now. That's 52% off the list price of $197.73! The Fender 950816021 FA-100 Acoustic Guitar with Gig Bag is on sale for $99.99 at Amazon right now. That's 41% off the list price of $169.99! The 38 Coffee Acoustic Guitar Starter Package, Guitar, Gig Bag, Strap, Pitch Pipe, DirectlyCheap(TM) Translucent Blue Medium Guitar Pick is on sale for $39.95 at Amazon right now. That's 50% off the list price of $79.95!